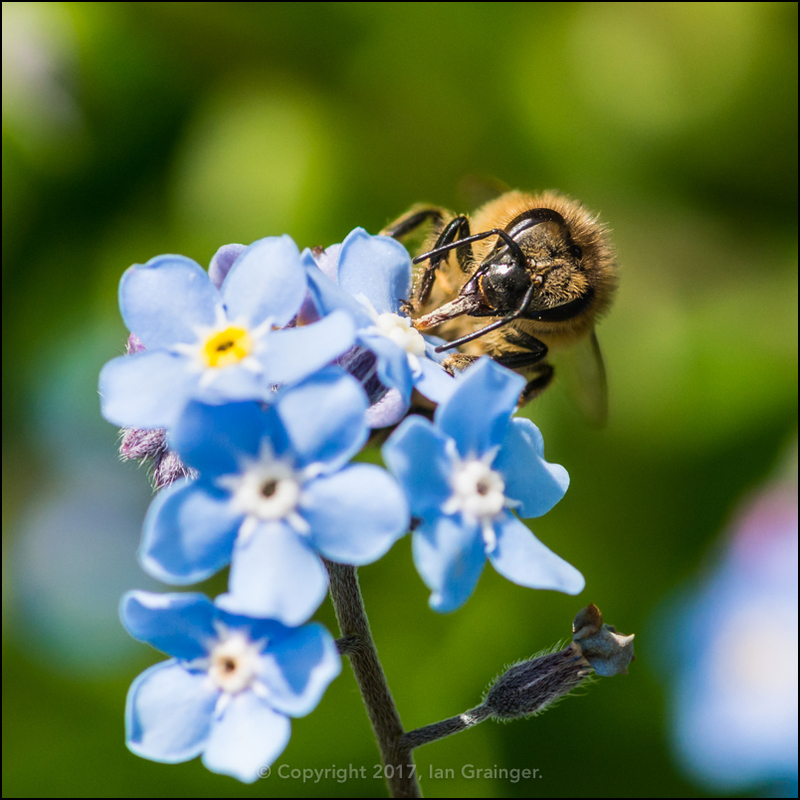 After a couple of weeks of very nice warm spring weather, it had turned decidedly colder over the Easter holiday weekend, although it remained dry and sunny. 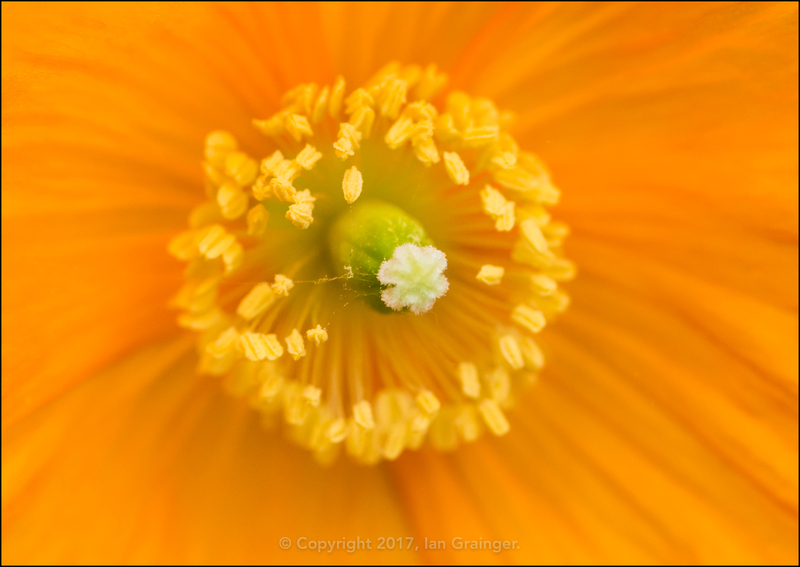 The sudden drop in temperature didn't seem to bother the Welsh Poppies (Meconopsis cambrica) though as they made a welcome return to dad's garden. 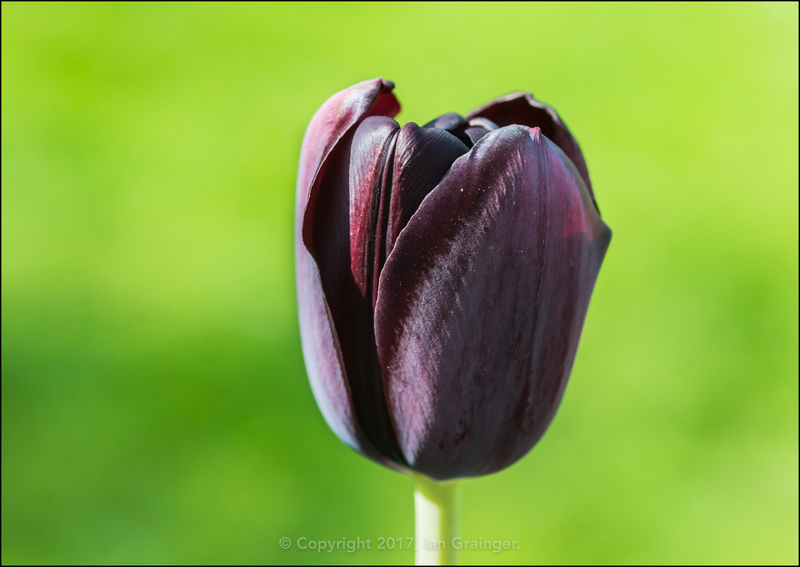 The Tulips (Tulipa) were still going strong, and this Queen of the Night variety was just about ready to open up her petals. 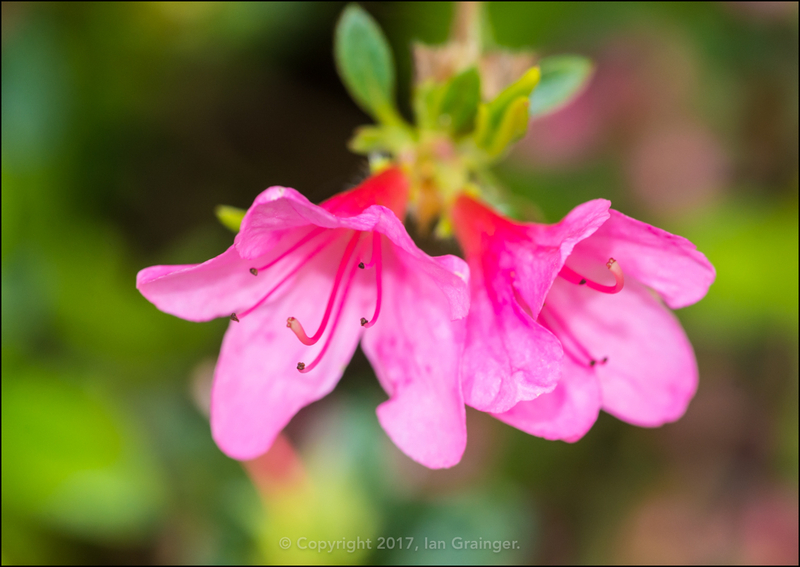 The small pink Azalea bush had started blossoming, and was covered in pairs of these lovely bright pink blooms. 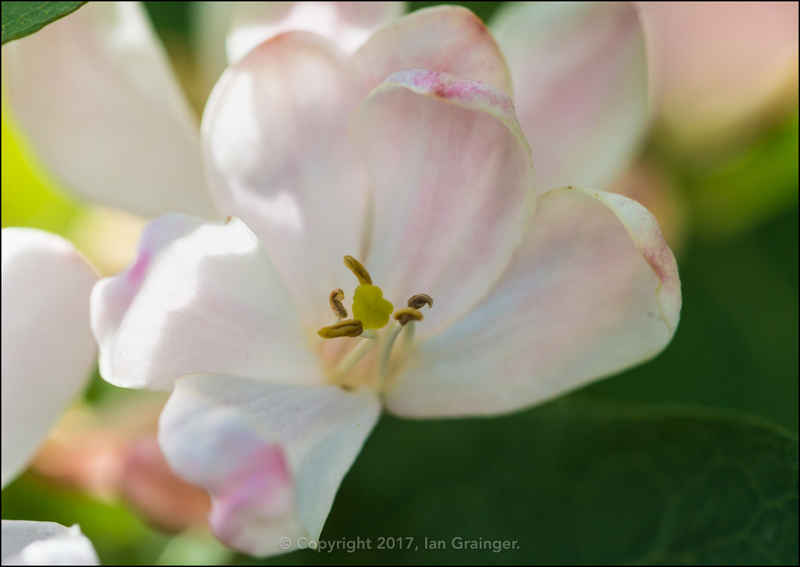 I've posted pictures of this blossom before, but have only just found out the name of it from my friends over at Garden Tags. 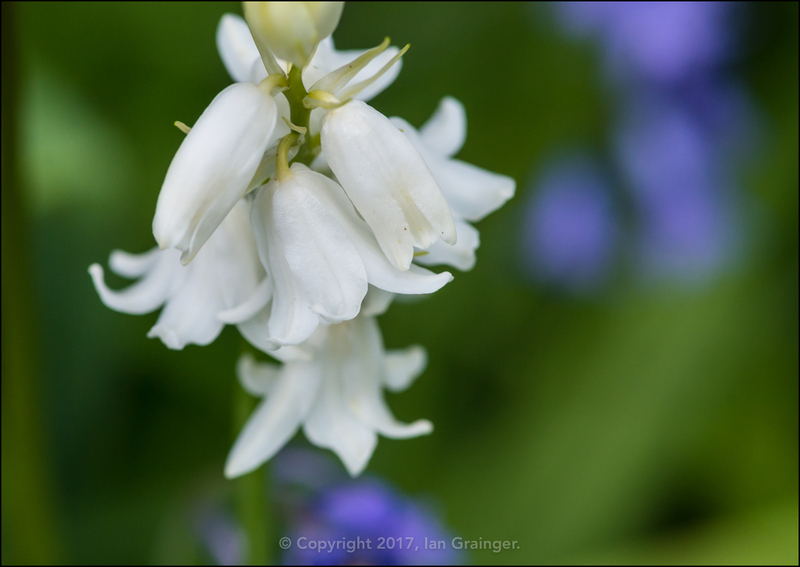 It's actually a form of Honeysuckle (Lonicera) called Tartarian Honeysuckle (Lonicera tatarica), and I'm definitely going to have to take cuttings and get some in my own garden! 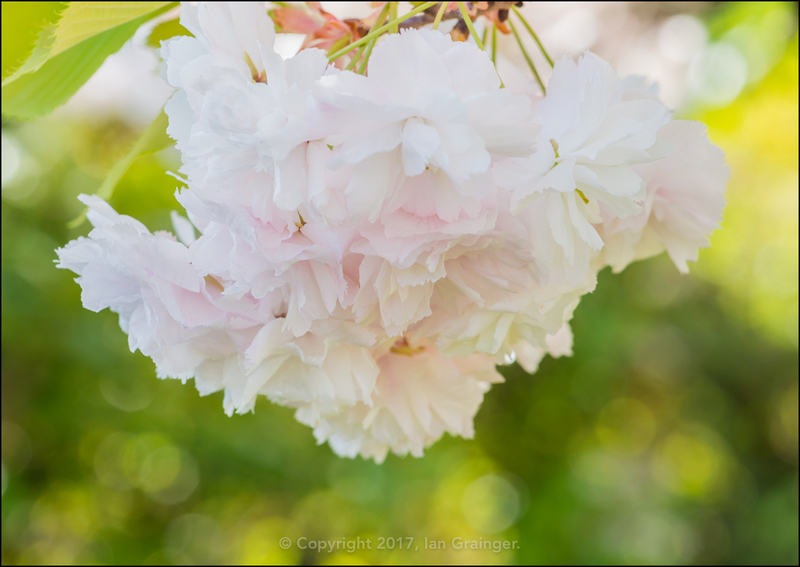 The Cherry Tree (Prunus) blossom was still going strong and looked wonderful in these big pinky white bunches. 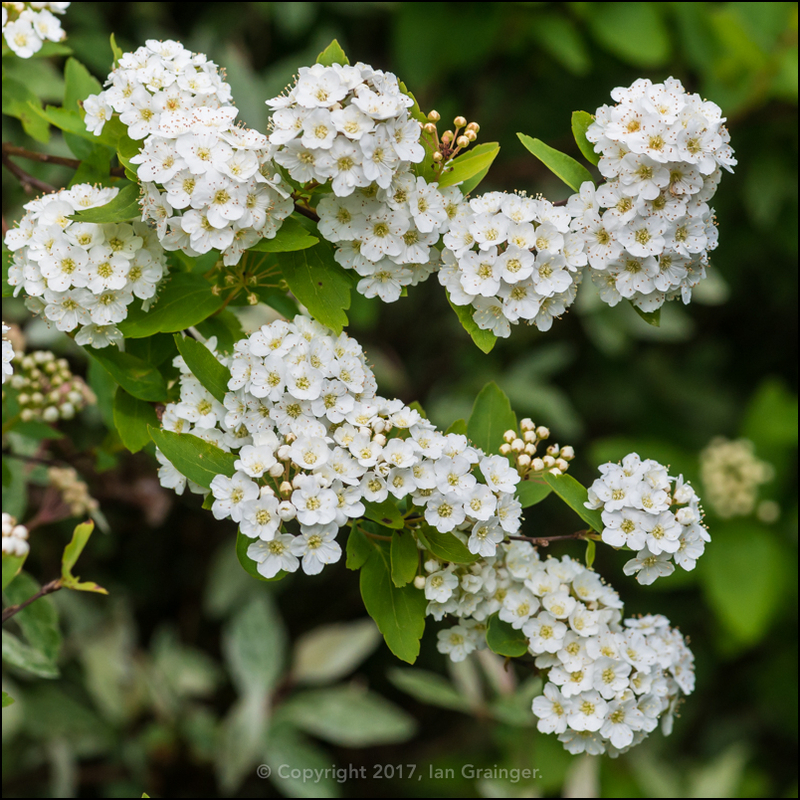 The Spiraea bush was also continuing to bloom, and had lots and lots of these globe like bunches of small florets. 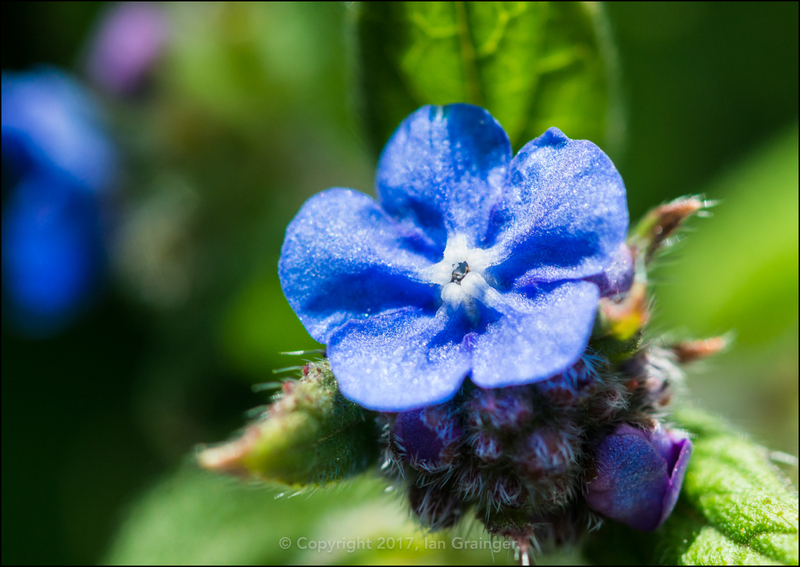 I know this Green Alkanet (Pentaglottis sempervirens) is considered a weed by many, and it probably is, but it's vital at this time of year to help support the insect population, and it actually looks quite pretty when you take a close look at it. ...well, most of them were! 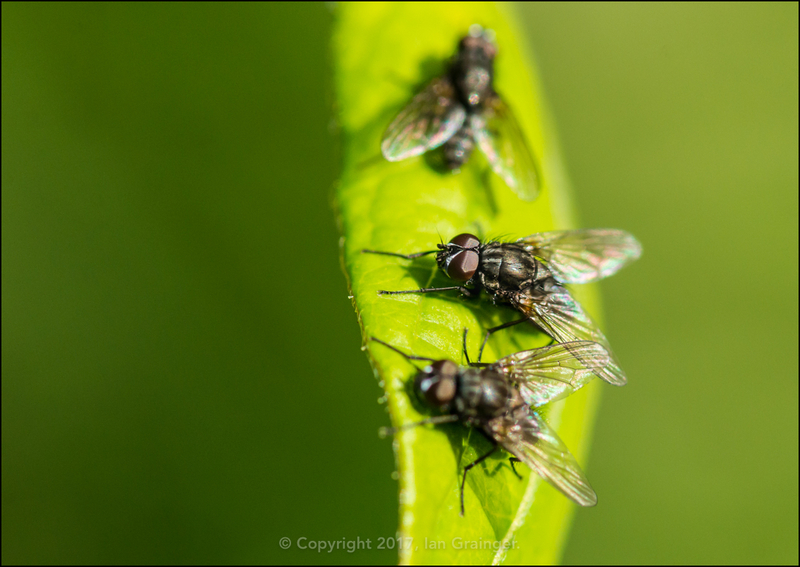 ...and these three Flies (Diptera) were enjoying sunning themselves on a leaf. 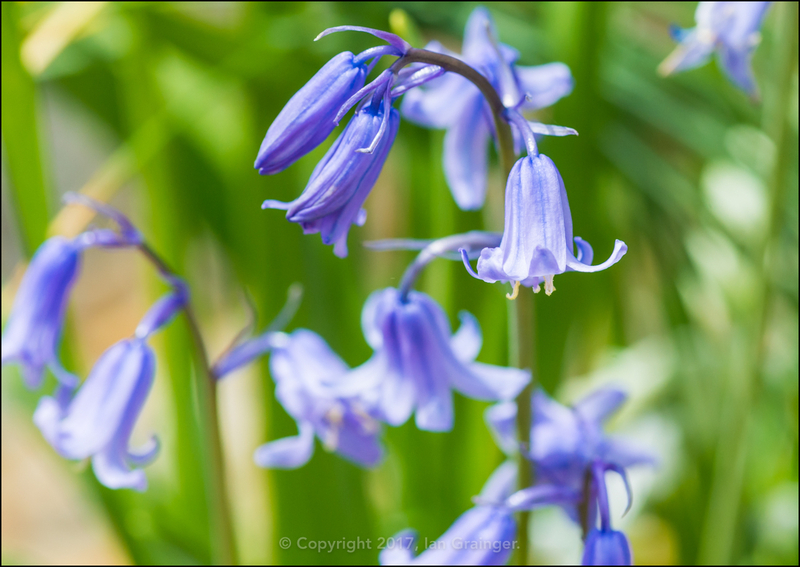 Over in my garden, I had English Bluebells (Hyacinthoides non-scripta), which were definitely blue. 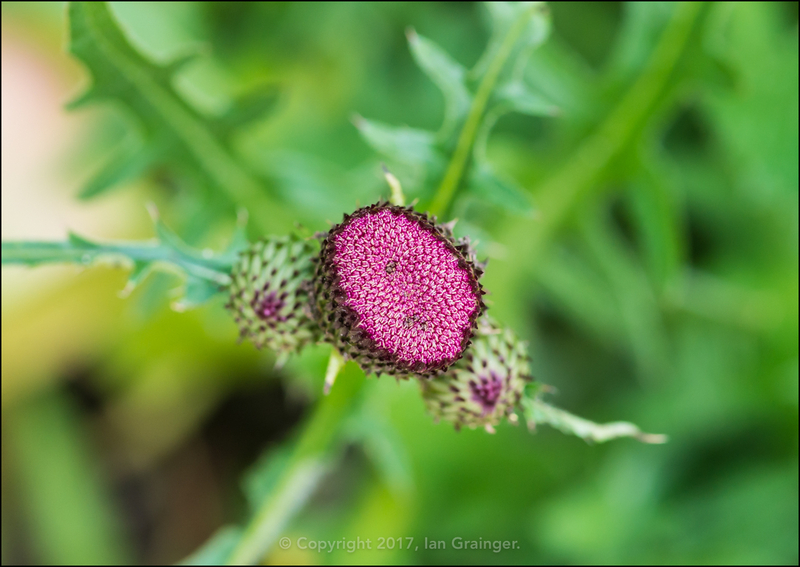 My first Cirsium flower bud had appeared, and if anything like last year, would have the bees flocking around it any time soon. 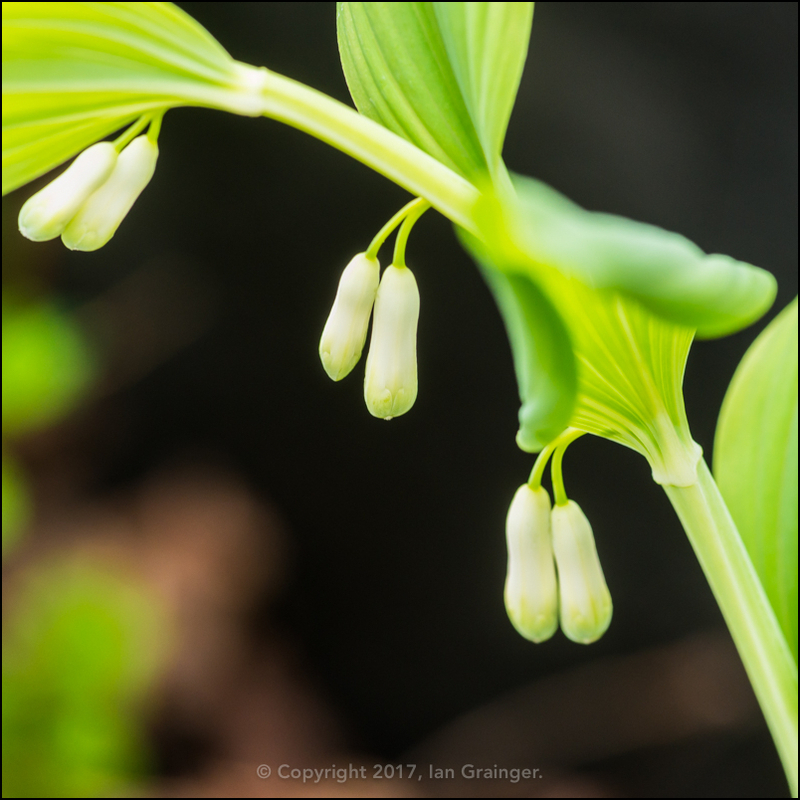 I was very pleased to see one of my Solomon's Seal (Polygonatum biflorum) plants popping up. 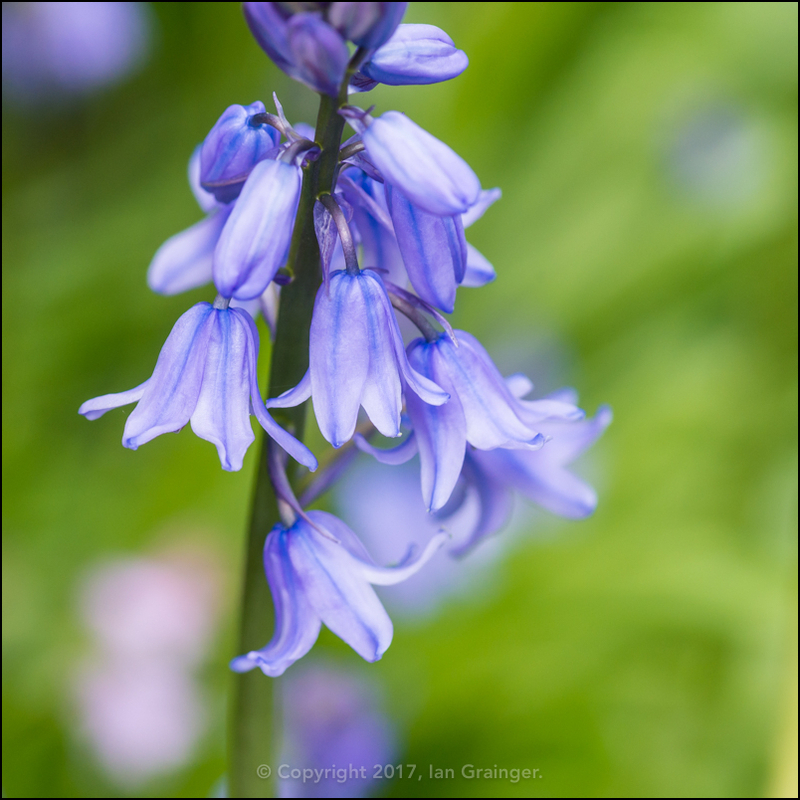 It's the first time I have grown them, and I was a little concerned when they both disappeared after I planted them last autumn. 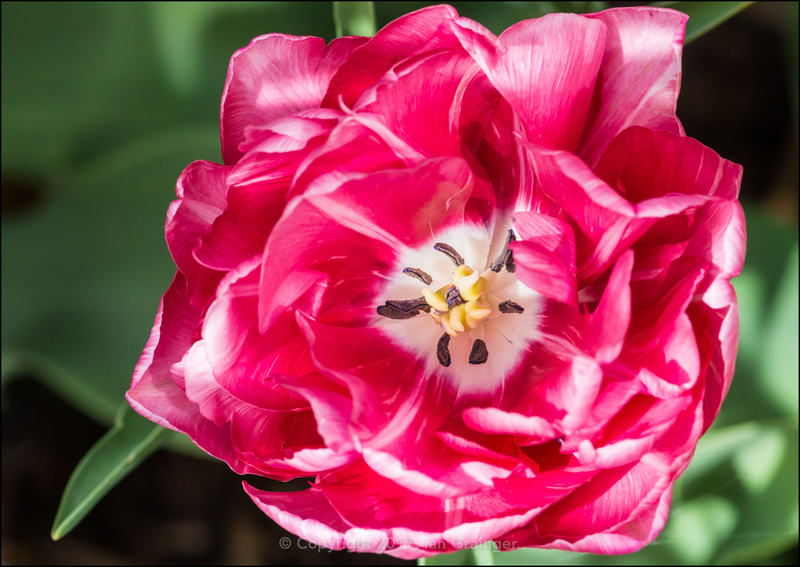 At this time of the year, my garden really belongs to the Tulips though. 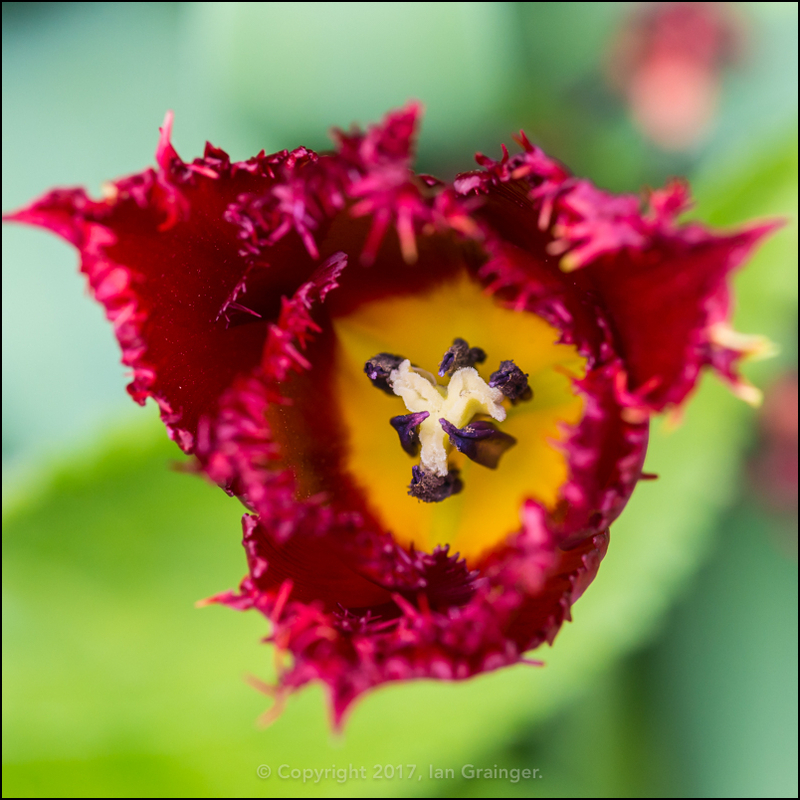 This frilly one appeared in a new border I created last year with bulbs from last spring. 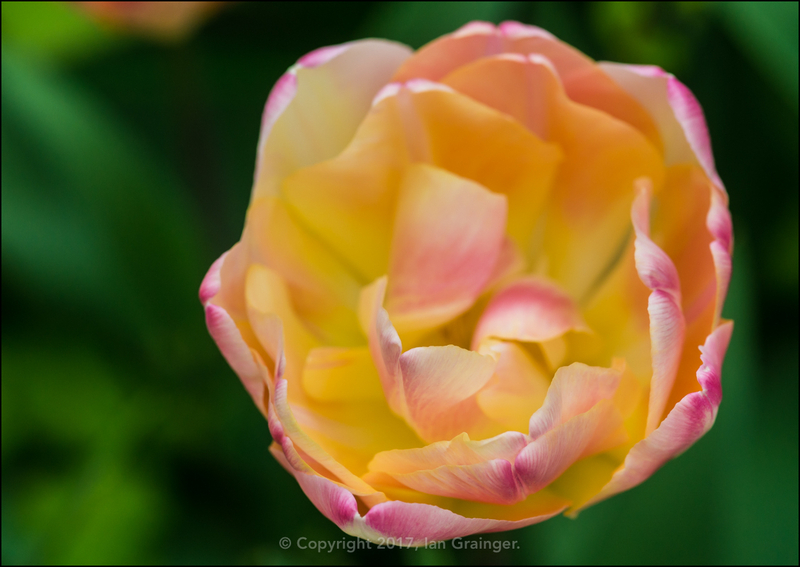 ...although it's a close run thing between that and this Tulip variety Wedding Gift. 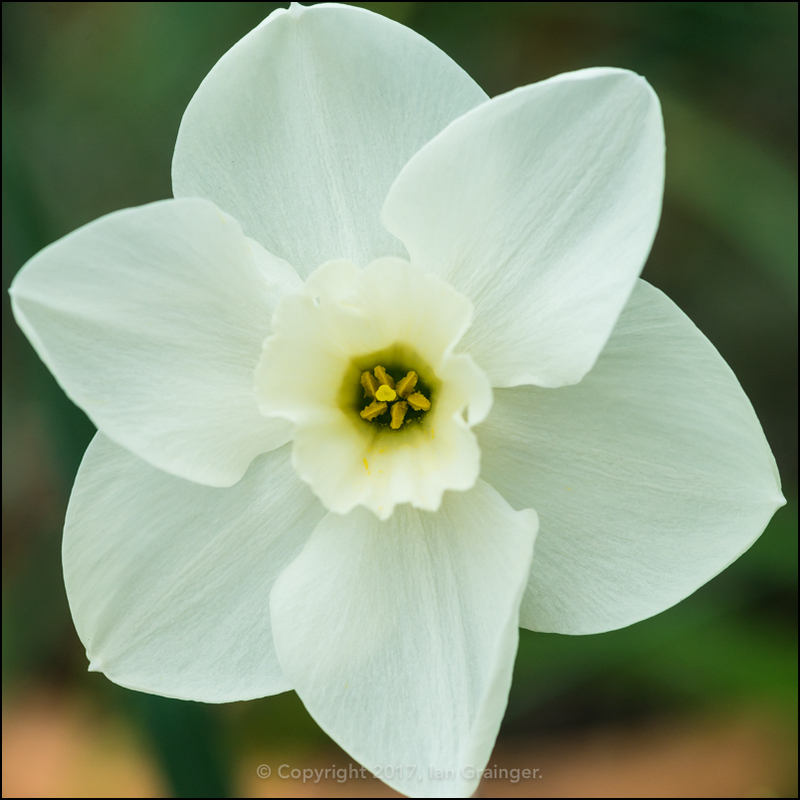 The Daffodil's (Narcissus) are nearly finished for another year, and after the disappointment last week of variety Green Eyes not actually having a dark green centre, at least the petals are turning white! 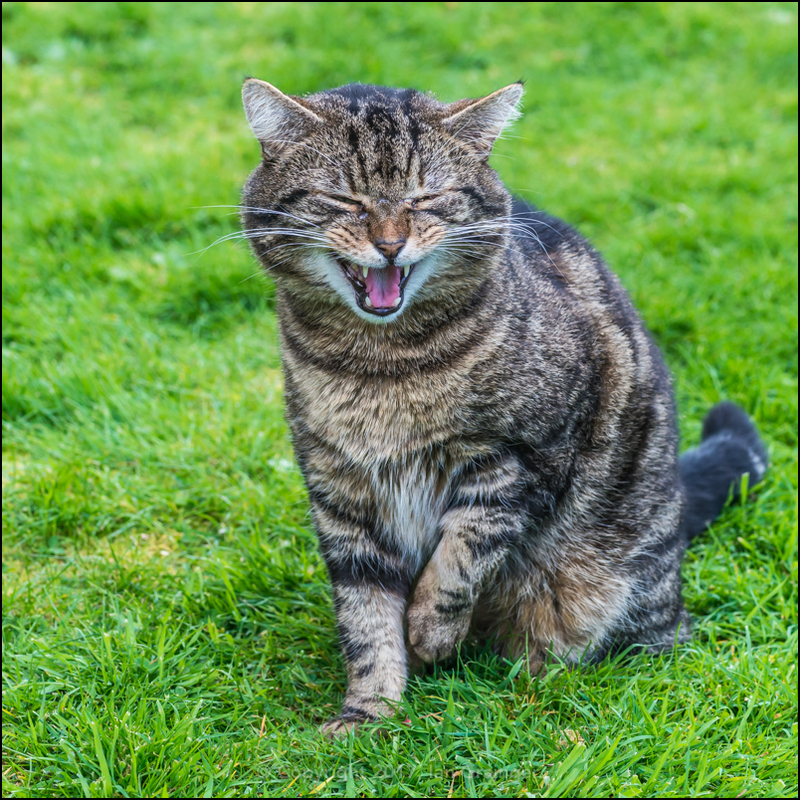 So, what of my photogenic feline friend? Last week I said we thought he'd been hit by a car, and despite him now looking a whole lot better than he did, he has still got a limp, and fear he may have a broken leg. He hasn't lost any of his personality though, as you can see him here asking for attention! 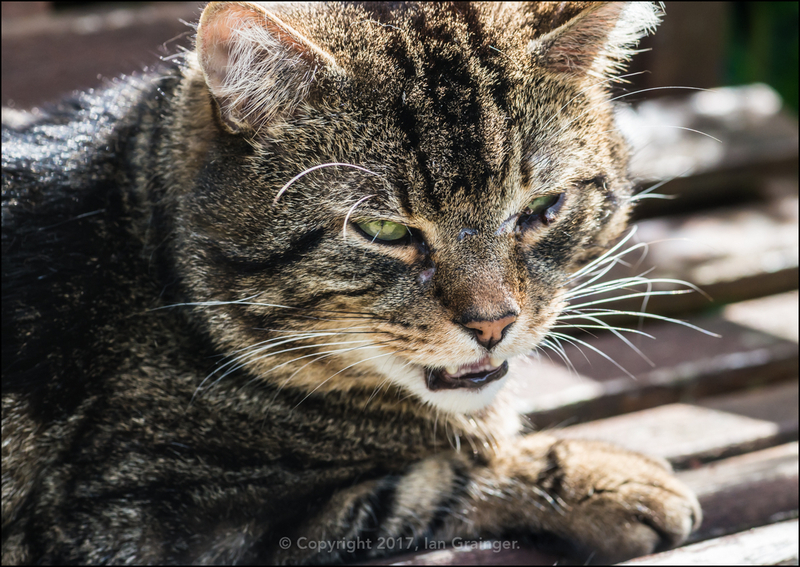 He couldn't open his left eye last week either, so there's a big improvement there, although he's still showing battle scars across his face, from where he tangled with whatever it was that hit him.